October 11th, 2014, is a day that will always have meaning to HopeMatch. Two Christmas seasons ago, HopeMatch got the privilege to serve the Gray family. Just like all of the other families we serve at the holidays, they received generous boxes of beautifully wrapped Christmas gifts delivered to their door right before Christmas. Our delivery drivers remember driving up to their home, a modest trailer at the back of a piece of land. The landing going up to their front door was very loose and their oldest son, Stephen, came out to help get the boxes of presents. Our drivers were amazed at how he lifted those heavy boxes! One thing became evident from the very beginning of serving the Gray family...they are grateful in all things. Soon after Christmas, HopeMatch hosted a New Year's Eve service. The Gray family almost didn't come because they had some reservations about leaving their children. We invited them to come and bring the kids; and through that experience, they met one of our awesome volunteers, Michelle Clark. Michelle found out that they were not in church and invited them to visit Eastside Church where her family attends. Soon thereafter, the Gray's son Samuel became ill and was hospitalized. During that time, Michelle went to visit them in the hospital and offer her support. This meant a great deal to the Grays. They visited her church soon after. At HopeMatch, we realize we can't be everything to everyone, so we have church partners that we can connect families with if they are in search of a church home. Eastside Church has become a very special partner to HopeMatch. They came alongside the Gray family and loved them just where they were, just like we are supposed to love. Through their support, as well as the Grays taking advantage of almost every opportunity HopeMatch offers to give a "hand up" including a financial class, the Grays did a 180 degree turnaround, and all kinds of blessings followed. 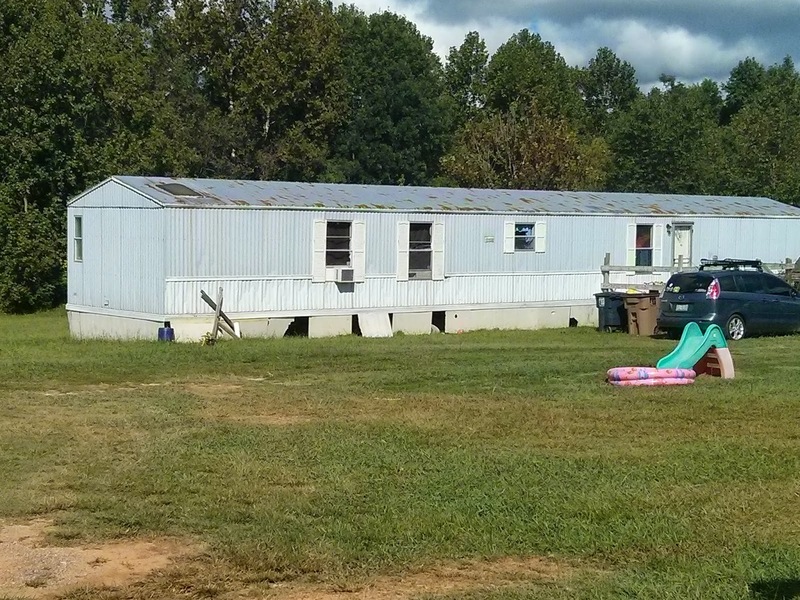 For 12 years, Anita Gray believed that God was going to give them a house. The conditions they were living in were very unsafe. They did not have central air or heat. In the winter, they had cold air coming through the floor boards. In the summer, they all had to sleep in one bedroom because they only had one air conditioning unit. The children were often sick due to the black mold in the trailer, as well as the extreme hot and cold of the seasons. For awhile, they saw no way out; but they kept believing and putting one foot in front of the other. At the beginning of the year, HopeMatch had the privilege to write a recommendation letter for the Gray family to receive a Habitat house. After much prayer, they were approved! They would finally have the house that God promised them. 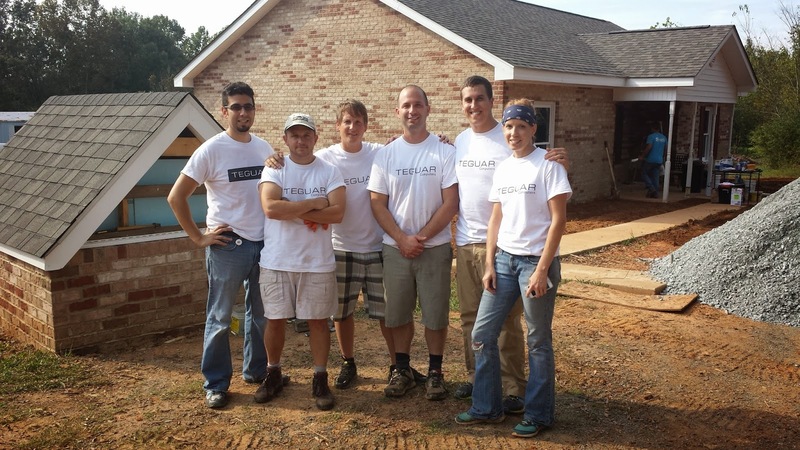 Habitat requires the family who's receiving the house to put in 500 hours of volunteer time. The Grays put in 1000 hours of volunteer time, with 300 hours being from their teenage son. Habitat said this was the most amount of hours they had seen a family put into the process. We had several volunteer groups go out and serve through HopeMatch. 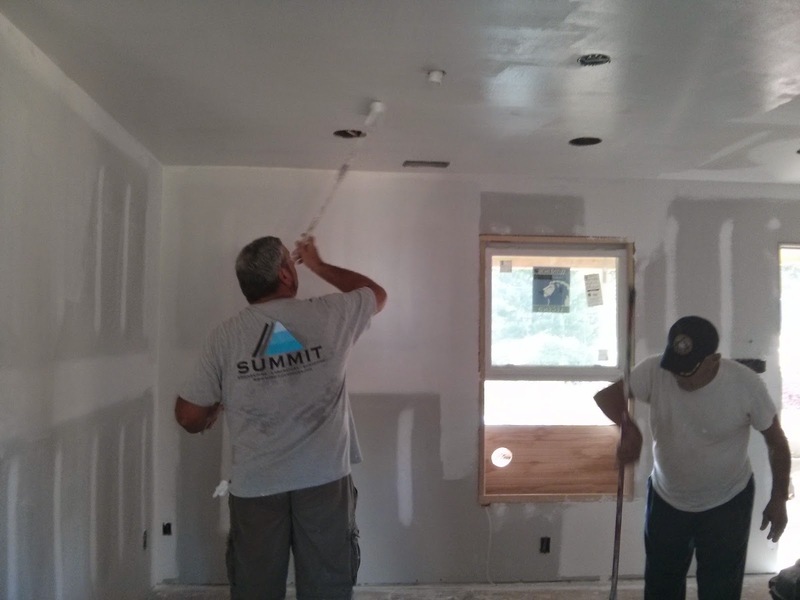 Thank you to Teguar and Summit volunteers for serving this family and being part of their dream coming true! 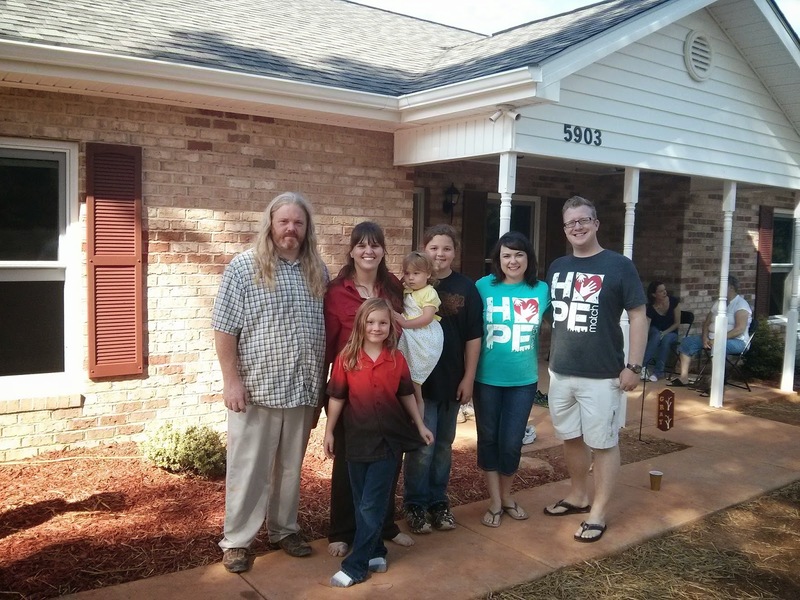 On October 11th, we got to share in the home dedication. It was one of our most special times in HopeMatch history. The Grays say over and over again that they don't believe they would be in the place they are today, standing in their new house, without HopeMatch. When we came into their lives a couple of years ago and offered hope, support, and connection, their lives changed forever. Many people have come across their path since then and shown them that they are loved, valuable, and important. We are humbled to have played a small part in their journey. With the holidays quickly approaching, and as you choose how you will celebrate this year, consider making a difference in a family's life by giving through HopeMatch. Visit www.HopeMatch.org for more information. You will not be disappointed, and your gift could produce a story like this for a family who desperately wants to give up right now. Thank you to everyone who has been part of the Grays' story. We could not be more overjoyed for them to move into their promise! **Due to the Grays having to replace everything in their home because of the black mold at the old place, we welcome any household donations you may have. They are in need of living room furniture, kitchenette table and chairs, twin size mattress, light bulbs, and much more. We will also accept gift cards to Walmart, Lowe's, Home Depot, Target, etc.